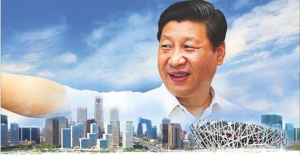 As a follow up to the last column (http://chinarising.puntopress.com/2018/01/20/headlines-say-it-all-baba-beijings-vision-leads-its-citizens-into-the-21st-century-china-rising-radio-sinoland-180121/), I have a funny and revealing story to tell. It really frames well what Westerners are up against to get to the reality of human existence, as they try to sift through all the mainstream propaganda and a lifetime of brainwashing at school. Look at what the government here is trying to do NOW! 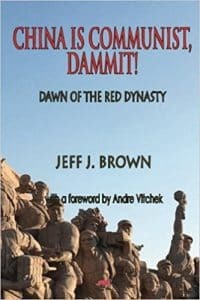 Western racism and its resulting blind ignorance run deep and 99% of the time, Euranglolanders are oblivious to what they are saying or doing, nor do they understand how important the historical perspective is (http://chinarising.puntopress.com/2018/01/06/slavs-and-the-yellow-peril-are-niggers-brutes-and-beasts-in-the-eyes-of-western-empire-china-rising-radio-sinoland/). It is pervasive and endemic in the vast, vast majority of Caucasians, including most of them who have lived and worked overseas, even for many years. But, I digress. The irony of my first colleague’s comment is how wrong they truly are. 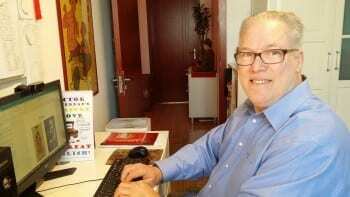 Any change that Baba Beijing makes to China’s national constitution (https://www.purdue.edu/crcs/wp-content/uploads/2014/04/Constitution.pdf) will likely have a direct influence on every Westerner’s economic wellbeing and lifestyle in the years to come. I can guarantee you that this still is the case for Maoism (https://www.marxists.org/history/erol/uk.hightide/mao.htm and https://en.wikipedia.org/wiki/Maoism) and Deng Xiaoping Theory (https://en.wikipedia.org/wiki/Deng_Xiaoping_Theory), which were enshrined in China’s constitution. They have both reverberated across the headlines and through the halls of geopolitical and economic influence across the planet, going back decades, with their history changing impact on world affairs. But this is largely unrecognized and denied in the self-centered, self-absorbed West. Two other Chinese presidents, Jiang Zemin and Hu Jintao did not get their names attached to their platforms, but their visions are right there in the constitution and have also quietly had an ongoing impact on international affairs, your economic wellbeing and resulting lifestyle. Jiang’s is called The Three Represents (https://en.wikipedia.org/wiki/Jiang_Zemin#”Three_Represents”) and Hu’s is known as Scientific Outlook on Development (https://en.wikipedia.org/wiki/Hu_Jintao#Scientific_outlook_on_development). These are not just policy speeches; a rousing, self-serving state of the union speech or a parliamentary back rub. 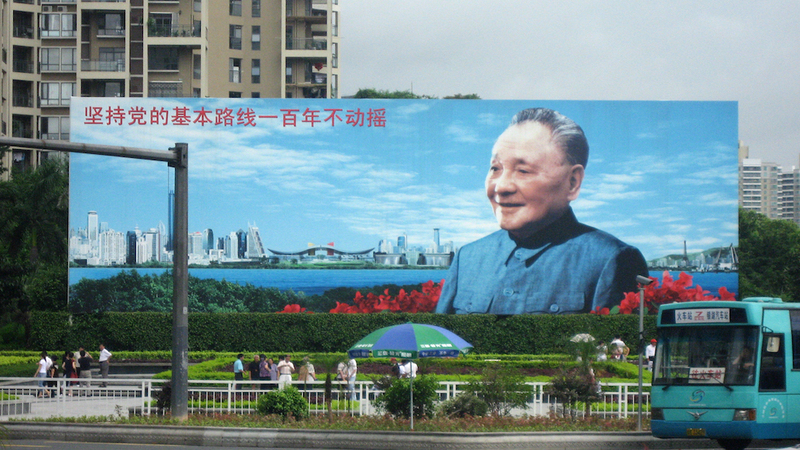 From Mao to Xi, they are comprehensive and far reaching blueprints to help guide the Communist Party of China (CPC), the government at all levels, from Zhongnanhai (https://en.wikipedia.org/wiki/Zhongnanhai) down to faraway villages, and their 1.4 billion citizens for the next 5-10 years, socially, economically, politically and geopolitically. 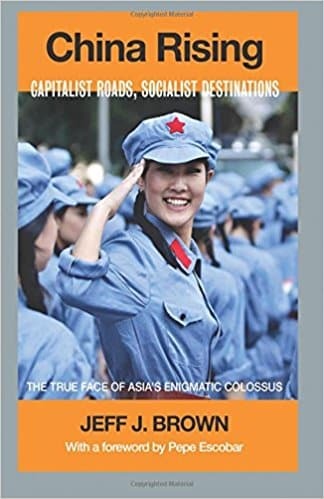 I wrote extensively about China’s constitution in Book #3 of The China Trilogy (http://chinarising.puntopress.com/2017/05/19/the-china-trilogy/) and encapsulated it in an article I was commissioned to write for the All China Review (http://chinarising.puntopress.com/2016/10/18/so-called-communist-china-an-exclusive-article-for-the-all-china-review-16-10-17/). 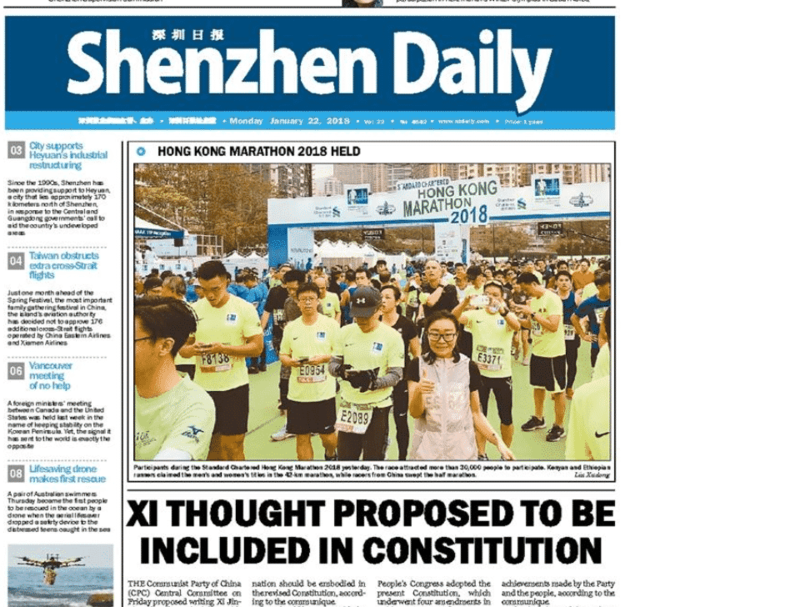 China’s constitution is at least as important in the course of human events as America’s (www.usconstitution.net/const.pdf), Britain’s Magna Carta (http://edsitement.neh.gov/sites/edsitement.neh.gov/files/worksheets/Annotation_Unabridged737.pdf) and France’s Declaration of the Rights of Man and of the Citizen (https://www.americanbar.org/content/dam/aba/migrated/2011_build/human_rights/french_dec_rightsofman.authcheckdam.pdf). 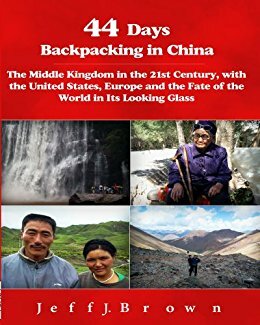 While the three Western documents are worshipped in mainstream media and the halls of education as sacrosanct, China’s magnificent version is totally ignored for a simple reason – China is communist-socialist and its constitution is proudly and vocally anti-imperialist, anticolonialist and anticapitalist. So, the joke is on my library neighbor and every other world citizen who fails to put into proper perspective China’s critical, post-liberation role in history and today’s headlines. Informed fans of China Rising Radio Sinoland can set themselves apart from this broad propaganda ignorance, so please recommend this site to friends, family and colleagues, to help them get smart. One cannot make the world a better place when totally oblivious. Extra! Extra! Read all about it! T-Bone Burnett is well known for his studio production prowess, but he has put out a great catalogue of music, and is a singer-songwriter whom I have admired for decades. Here is a quirky song about newspapers, or at least a very special one dreamed up in his often zany imagination. It is a humorous story of greed and redemption, so enjoy the headlines in The Strange Case of Frank Cash and the Morning Paper, from his album entitled Talking Animals, with a link to the lyrics below. The idea that any Constitution is as important as the U.S. Constitution is INSANE! The U.S. Constitution is the most sacred document ever written in all of human history because for the first time in human history a government was founded on the principle that the rights and power of the individual precede and exceed the right and powers of government itself! Never before, and most likely, never again will such a government exist. It is therefore our duty and our obligation to defend the Constitution against all who would do it harm. Pat < another one of those delusional Americunt Supremacist.
" the MOST SACRED document ever written in ALL of HUMAN history because for the first time in human history……." 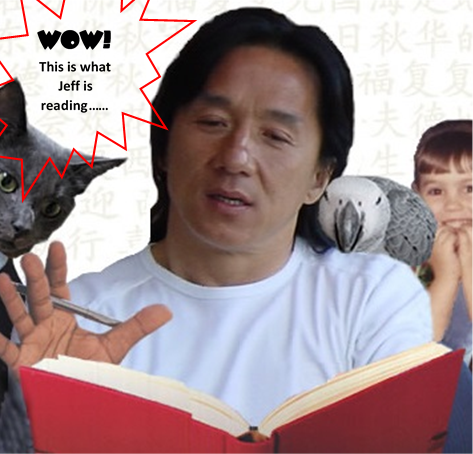 So how many ancient law accross global nation have you read and examined? So sacred it even cannibalized the Word of God, whom many of you hypocrites White Murica Protestants esp. Evangelicals love to claim Murica was foundeded upon Christian principles. So now THE SOURCE of Christian principles is nothing compare to Murica's rights. As long as it's Murica, nothing supersedes it, yes? Stuuupid Pat. Bad dog. I'll ask Peter and Jane to disown you. "….a government was founded on the principle that the rights and power of the individual PRECEDE and EXCEED the right and powers of government itself! Did you just prescribed MOBOCRACY? That is the perfect recipe for disaster . Nowyou know why your Murica is so easily manipulated and hijacked. There are more exposition on this issue but it'll stop here. I have what is often called a `classical Education’. I have studied the great philosophers of history and I hold multiple degrees. a government was founded on the principle that THE RIGHTS AND POWER OF THE INDIVIDUAL PRECEDE AND EXCEED THE RIGHT AND POWERS OF GOVERNMENT ITSELF! Please name one other country that has placed the rights of the individual over and above the right of government. I have studied history and I know there is no country other than the United States that has acknowledged the rights of the individual OVER and ABOVE the right government!